Introduction Having worked with thousands of spiritually conscious people over the course of my career, I have observed that they tend to be more susceptible to nerve weakness and physical hypersensitivity. In concert, these serve as a matrix for complex forms of physical disharmony that defy ready diagnosis. Accordingly, the collections of symptoms they present with seem to be a direct reflection of the complexity of the psycho-spiritual conflict between their spiritual yearning and the limitations imposed by the circumstances of their lives. Thus, any effort to resolve the physical suffering of a spiritually sensitive individual which does not address the tensions within the underlying psycho-spiritual terrain is, at best, a half-measure and at worst, utterly futile. In this article, I offer a hypothesis regarding the spiritual consciousness/ physical-suffering conundrum, and then discuss one of the essential oils: Clove (Syzygium aromaticum) that has relevance regarding soul-level disharmony in certain spiritual, sensitive, and physically vulnerable individuals. 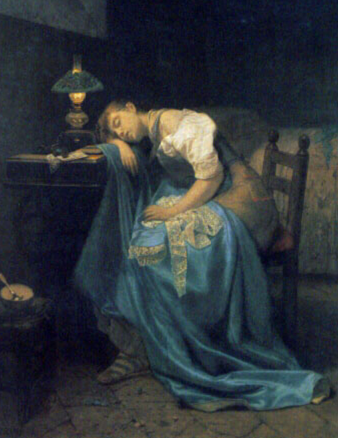 Health challenges among mystics Many of the notable ancient mystics suffered from poor health of which no obvious organic cause could be readily discerned. It has to be assumed that continual engagement with the high voltage of spiritual light exerted a tremendous strain on a nervous system that had become adapted in human beings to a life of perpetual striving rather than perpetual being. Clearly, the crashing waves of daily stress batter the body and no aspect of human physiology is exempted from this erosion. However, the brain and the rest of the neuroendocrine system (i.e., the nervous system and network of hormone-secreting glands such as the thyroid and adrenal glands) constitute the front line troops that respond to this ceaseless assault. Similarly, the brain and nervous system serve as the processing center and channels for the incoming sensations and information from the higher world. Though no less challenged by the assaults of modern existence than anyone else, the spiritual individual never completely turns off the tap of higher consciousness. The neuroendocrine system of the spiritually sensitive individual, while defending against the challenges of daily survival, is simultan-eously drawn into the ongoing psycho-spiritual conflict between affirmation and negation of the mysterious force which masses just beyond the bounds of rational consciousness. Ultimately, the wiring of the spiritual person’s body, not designed for such a load, frays. Accordingly, the various organ systems supplied by the neuroendocrine system decline in efficiency, giving rise to the often confounding mix of symptoms which the spiritually sensitive individual often presents with. Spiritual PhytoEssencing and archetypal blending The art of Spiritual PhytoEssencing that I have developed uses customized combinations of essential oils for deep soul-level healing work, which involves what I refer to as archetypal blending. The term “archetype” refers to a unique intangible construct of the soul that generates a characteristic pattern of perceptible emotional and physical expressions. In turn, these expressions—such as temperament, personality traits, reactional tendencies and diverse symptoms of dysfunction, such as anxiety, depression, chronic fatigue, stomach weakness, etc.—are considered to be archetypal images. 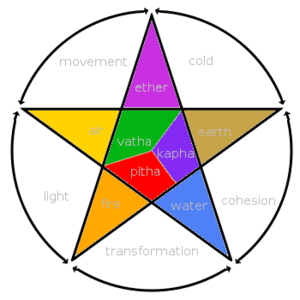 The premise of Spiritual PhytoEssencing is that in order to be able to ameliorate soul-level disharmony, the essential oil blender must engage with the archetypes embedded within the fabric of the soul rather than with the archetypal images which manifest as emotional and physical symptoms. Essential oils have many possible routes into the energetic and physical body. This article will discuss olfaction and its powerful ability to affect the brain. In scientific terms, olfaction is defined simply as smelling. Whether it is through direct deep inhalation or simply breathing as we pass through the world of scent in our daily activities, we engage in olfaction every waking and sleeping moment of our life. It is believed that the sense of smell is with us literally to the last breath we take. As Aromatherapists it is important to examine olfaction on a deeper level and explore its powerful connection to the limbic system and the cerebral cortex. It is useful in discussing the limbic system to briefly touch on the basic function of the cerebral cortex. The cerebral cortex is considered to be the area of higher brain function. It enables us to think, create, remember, and learn. This is where we consciously “make up our minds.” From this place of decision arises actions. In the brain, the cerebral cortex could be considered functionally Yang. In contrast, the limbic system is home to our instinctual behaviors as well as our automatic emotional response. Our immediate “gut” reactions to stimuli occur here. The limbic response is not one involving conscious control. It is considered to be an area of lower brain function. 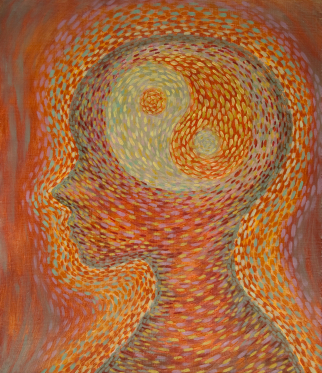 In Taoism, the nature of limbic functioning is deep and while it is dependent on the higher brain function to act it provides the desire and motivation to do so. It is therefore considered functionally Yin. Structurally, the prominent anatomical parts of the limbic system are: the amygdala, fornix, mammilary bodies, septum, hippocampus, thalamus, and hypothalamus. In recent years, it has become widely accepted that the frontal cortex is also a structure of the limbic system. All of these work together, regulating emotion by sending projections to each other and to the hypothalamus (Price, 2012). The hypothalamus is pivotal in acting to coordinate the unconscious effects of emotion on the functioning of the physical body in maintaining homeostasis. It controls heart rate, blood pressure, sleep, respiration, and hormone secretion, just to name a few. From the limbic response through the hypothalamus to the body we see an outward cascade affecting our physiology (Price, 2012). In energetic terms, the balance of Yin and Yang in the organs and ultimately the entire constitution is fluctuating constantly around our emotions. According to Traditional Chinese Medicine (TCM), disease that is not initiated by a traumatic external force-such as a car accident, sunstroke, toxicity, or infection-is the result of the internalization of negative emotional states. In a strictly scientific sense, essential oils are made up of molecules belonging to chemical components that have been proven in many cases to have certain discernable biochemical properties. These properties act on the structures of the human physical body in predictable ways. Their actions are antidepressive, antifungal, anti-inflammatory, antispasmodic, analgesic, central nervous system sedative, rubefacient, and so forth. There also exists a rich and ancient tradition of Aromatherapy. In an alchemical, energetic sense essential oils can increase Yin or Yang, disperse excesses, and tonify deficiencies. Their actions might be cooling, warming, drying, moisturizing, opening to intuition, soothing to the heart, protective to the psyche, grounding, or balancing. Ayurveda, the science of Indian medicine which means “science of life,” goes back 4000 years in written script but the origins of this ancient science is said to be over 40,000 years old! The Vedas (ancient texts) state that there was a conference in the Himalayan caves by all the sages and masters to discuss how to alleviate human suffering. They put their heads together and realised that man was a microcosm of the macrocosm. Man was inter-dependent with nature and had to live in harmony with the Universe and firstly with himself. For this he needed to attain Mental Equilibrium. Ayurveda has specified ways in which aromatics, diet, herbs and even cosmetics could help sustain this mental equilibrium, as a good mind is of utmost importance for the physical, emotional and spiritual well-being. In Ayurveda Aromatherapy we use the essential oils and base oils following the principles of this age-old science according to the elements, body types, personalities and, above all else, the state of the mind. Ayurveda is all about balance. It follows the ancient principle that believes anything in excess is poison. It greatly emphasizes the sense of Rasa (taste and smell) together with the Virya (potency) of the herb/oil and the Vipaka (post-digestive effect) of the herbs and oils, and determines the way they can be used for different disorders and conditions. Even cooking is therapeutic if done according to the Ayurveda principles and philosophy. The Ayurveda physicians mainly use herbal oil decoctions which are made by boiling the whole plant or plants together and adding a base oil, not the essential oils themselves. To see the full article by Farida Irani, subscribe now to the IJPHA at www.ijpha.com.